That troubling and enduring question is the title of a new book co-authored by Emory Islam scholar Vincent Cornell. For Cornell and co-authors Bruce Chilton and Jacob Neusner of Bard College and Baruch Levine at New York University, the answer is: It's complicated. And that, says renowned theologian Martin Marty in the book's epilogue, is a good thing. 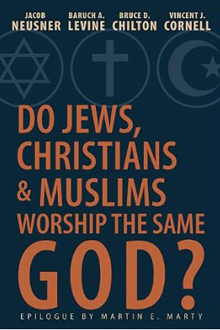 Published by this month by Abingdon Press, "Do Jews, Christians & Muslims Worship the Same God?" is intended to appeal to a broad audience, but is aimed particularly at United Methodist ministers and other Christian denominational and lay leaders, to help them understand some of the theological differences among the three Abrahamic faiths. Cornell, who will join his co-authors for a panel discussion on the book at this month's American Academy of Religion annual meeting, talked about the project from his perspective as a scholar of Islam. A: I had previously worked on a few projects with Jacob Neusner at Bard College. Over the last year there has been a lot of discussion coming from certain political and evangelical religious figures on whether Christians, Jews and Muslims worship the same God. So when Jacob asked me if I would contribute from the Muslim side of the question, I said I would be happy to do it. Q: Haven’t other scholars come together to address this question? A: The question has been addressed obliquely, but it has not been addressed directly. Part of the problem is that such discussions have tended to be in the context of interfaith activities where people try to paper over differences. Q: Did you have many discussions among your co-authors about theological differences among the three faiths? A: There weren’t many interchanges and partly it’s because we know each other fairly well. Part of the idea was that we should each come at the question independently according to how we see it, in particular how we see the key problem. In my chapter on Islam, I was particularly concerned to engage with issues of Christian theology that haven’t been dealt with in a critical manner by Christian authors. Q: How does this book’s approach differ? A: Our collective interest was in getting at some of the most intractable problems having to do with the notion of how God is conceived in the three Abrahamic religions. The goal was to try to deal with theological differences in a straightforward, unvarnished way and to really grapple with the key problems themselves. Ironically, the critique that has been made by some evangelical religious leaders has some merit. For example, the notion of the man Christ as coequal with God the Father in evangelical Christianity points to significant theological differences between Christianity and Islam. Such differences would lead one to question whether or not we’re actually talking about the same thing. Q: From your perspective as a scholar of Islam, do Christians and Muslims worship the same God? A: In the book, the short answer I give is that it depends on the Christology of each Christian denomination. Up to this point there hasn’t been any significant engagement with evangelical Christology in Christian responses to Muslim-Christian dialogue in general. When writing my chapter I looked at the classic textbook, “Christian Theology” by Millard Erickson, which is considered one the most important text for evangelical divinity schools. I summarized the notion of the divinity of Christ according to Erickson’s evangelical perspective. 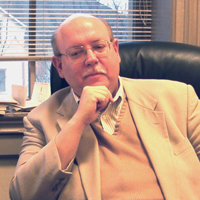 So for example, when Erickson says it was “not merely a finite human but an infinite God who died” on the cross, that Jesus is the giver and sustainer of life, or that the direct worship of Christ is theologically appropriate, he is saying that Jesus is not merely the best of creatures, but that “he is God in same sense and to same degree as the Father.” This is notion of divinity is directly contradicted by verses in the Qur’an. For example, Qur’an has a verse that says, “Those who say that God is the Messiah the Son of Mary deny the truth” (Qur’an 5:72). Insofar as evangelical Christology in Erickson’s view claims that Jesus the son of Mary is God, then obviously a serious theological difference exists. One has face this issue critically and honestly and conclude that if this is mainstream Christian theology, then one could make the argument as Pat Robertson did that Christians and Muslims do not worship the same God. On the other hand, if one is talking about a truly Trinitarian theology, in which there is a conceptual separation between Father, Son and Holy Spirit, as in the way that Anglicans or Methodists tend to believe, or that one worships the Father in the Son and through the Holy Spirit, then there’s something more recognizable to Muslims in this case; one could make the argument that the Father is analogous to Allah, the God of Islam. What I tried to do was be as specific about the theological implications of these differences as possible. Jacob Neusner did something analogous in his contribution to the volume with respect to Jewish attitudes toward the religious other. According to Neusner, Jews have tended to be exclusivistic in their sense of ownership of the concept of divine unity; hence they have at times refused to recognize that Christians and even Muslims share the same view of monotheism. Q: Is it easier to answer whether Jews and Muslims worship the same God? A: I argue with respect to Islam and Judaism that there aren’t any significant theological differences. Just as one needs to recognize the real differences that exist between traditions, one also has to dispassionately recognize the similarities that exist and make note of the absence of differences when they’re really not there. Q: Why is it necessary to focus on differences? How can that be productive? A: Liberal Christians often try to present a monistic view of the Trinity in which the persons of the Trinity are subsumed into the Father in a way that makes Christian theology more similar to the Muslim concept of God. What I try to advocate in my contribution to the book is that religious understanding is not just a matter of seeking similarities; it’s also a matter of recognizing differences. The key is to use the differences between religions in constructive ways. For example, I use counterpoint, rather than comparison, to show how differences among religions can be used to illuminate issues that tend to be overlooked within the traditions themselves. In my chapter, Islamic theology is used to point out what may be a significant difference between evangelical Christology and more Trinitarian forms of Christology. Similarly, a Christian theologian might be able to point out differences that have been overlooked in Islamic theology; say, between Sunni and Shiite theology, or between medieval Sunni orthodoxy and modern Salafi forms of Islam. By sharpening our understanding of differences across faith traditions, critical interreligious dialogue can help highlight opportunities for more discussion and deeper understanding. You can’t bridge the differences between religions if you don’t know the differences that exist within your own religion.